It’s time for a ‘teapigs’ cup of tea at the Fiji Coffee Bar! Nick and Louise established teapigs in 2006. They met whilst working for a large establisged tea company, where they learned all about tea and drank lots of it. The more they learned, the more they drank, the more they came to realise something: that there’s a whole planet of incredible teas out there that simply aren’t getting the attention they deserve. 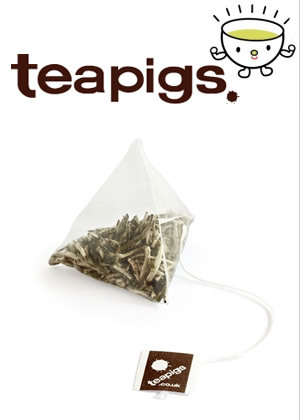 And so teapigs was born. Nick describes himself as a tea evangelist (much nicer than those rather loud ones on American TV). Louise, an experienced tea taster who has travelled the globe tasting teas, is a self-confessed tea addict (not seeking rehab). Fully-trained tea tasters are few and far between, so we are super-proud to be able to say that teapigs teas have been tasted and selected by an expert with over 10 years’ experience. Louise has tasted thousands and thousands of cups of teas over the years. After starting her training, which involved slurping and spitting at a rate of over 200 cups a day, she then took off around the world visiting tea estates high and low. At teapigs, we make a big issue about using only quality real tea. By quality real tea, we mean whole leaf tea, whole leaf herbs and whole flowers. It’s all about the flavour. The tea in regular tea bags has been squashed, chopped and manhandled so, by the time it reaches your cup, almost all the flavour is lost. We don’t think that’s very nice at all. The whole leaves, herbs and flowers in our tea have been treated gently and with love, to maintain every drop of that precious flavour. Teapigs believe in something pure and simple – no airs, no graces, just fine tea.